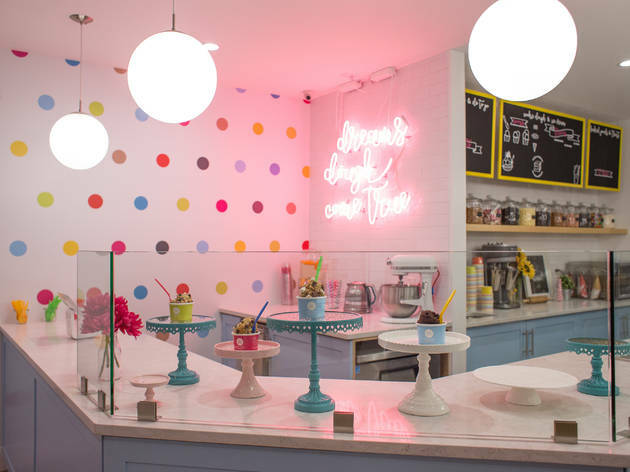 Have you been to NYC's only raw cookie dough restaurant? What was once a forbidden treat swiped from the kitchen is now a full-on raw dessert, thanks to cookie-dough brand DŌ. This online company opened its first shop in January in Greenwich Village, and families cannot get enough of its customizable flavors, which are both safe to eat and incredibly yummy. DŌ founder Kristen Tomlan was inspired to launch her gourmet cookie-dough company in 2014 after visiting a cookie shop with her girlfriends. Instead of buying fresh cookies, the women opted for a batch of dough straight from the freezer. “We then sat in our car passing around a tub of cookie dough, and I thought, why is this not a thing? Why can’t I go into a store and order cookie dough without feeling bad about it or worrying that I would get sick from it?” DŌ is made with pasteurized egg product and heat-treated flour—along with all-natural ingredients and no preservatives. DŌ carries on the theme with other cookie-dough–based treats including sundaes, milk shakes, freshly baked cookies, chocolate fudge filled and topped with cookie dough, cookie-dough-ice-cream pie, cookie-dough brownies, a 9" cookie cake and the ice cream sanDŌwich. If you’re looking for a place to bring the little ones for their next celebration or a “just because” treat, you’ll definitely want to check this out. 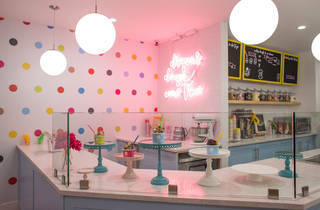 For more details on flavors, check out Time Out New York's recap. Visit DŌ at 550 LaGuardia Pl (646-892-3600, cookiedonyc.com). *This article was originally published in Time Out New York Kids Issue 97.